The first volume of this 11 volume set includes a fold-out map, showing a plan of Glasgow as it was in 1547. 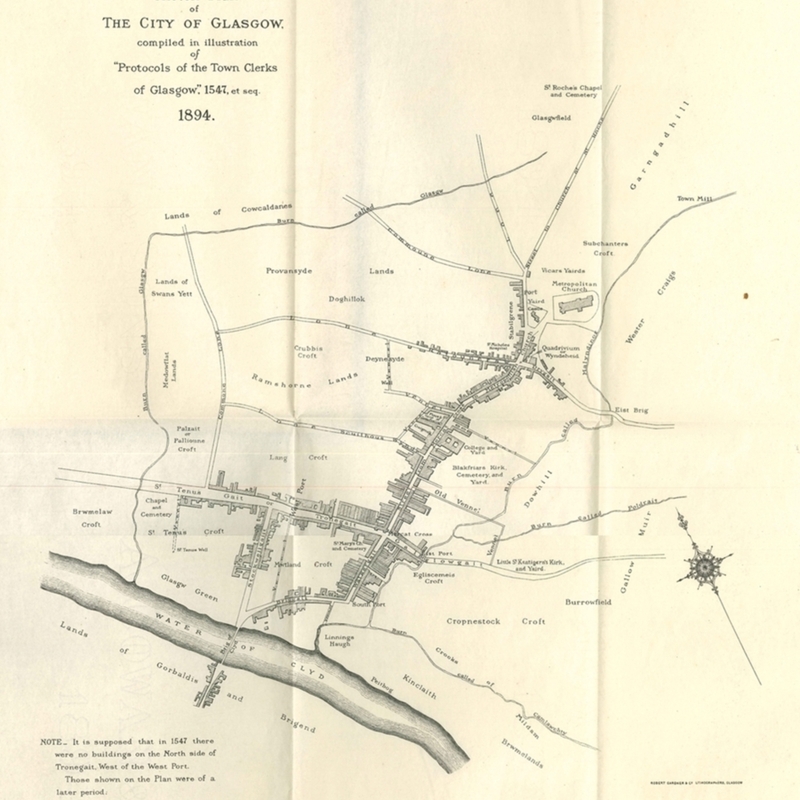 Renwick, Robert, 1841-1920., “Abstracts of protocols of the town clerks of Glasgow,” Heritage, accessed April 23, 2019, https://heritage.rcpsg.ac.uk/items/show/251. 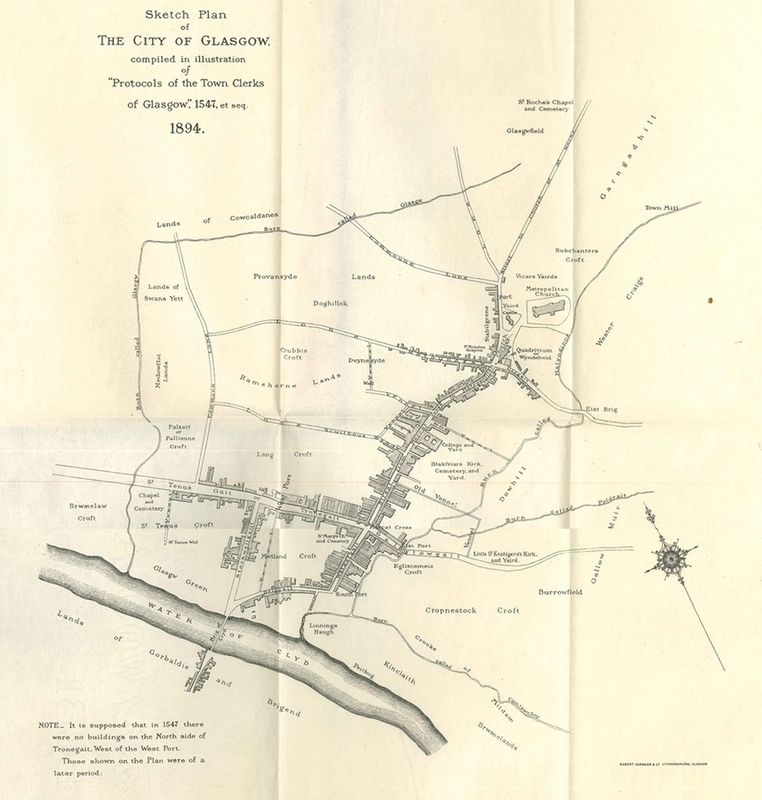 Description: The first volume of this 11 volume set includes a fold-out map, showing a plan of Glasgow as it was in 1547.